The mathematical shape in the above screenshot is rendered with the voxel layer. The effect used is Effects/Voxel/VoxelGoursatSurface. What can I do with the voxel layer? With the voxel layer you can render voxel models. How do I create a voxel layer? Choose LAYER > Add layer > Add voxel layer... to create a new voxel layer. The new voxel layer can be selected from the layers dropdown to make it the active layer. The installer comes with shows demonstrating the possibilities of the voxel layer. Choose FILE > Open show... and select a show from the BluffTitler/Media/Shows/Voxel folder. The voxel layer is mostly used to visualise medical datasets of CT and MRI scans. 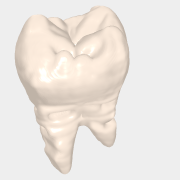 This example shows a molar (tooth) converted from a DICOM file. The voxel model is not clipped. The position and rotation of the clipping plane can be set with the Position clipping plane and Rotation clipping plane properties. Renders the other side of the clipping plane. This renders the clipping plane itself. The position of the voxel model. The rotation of the voxel model. The size of the voxel model. The 1st slider controls the minimum, the 2nd the maximum density. 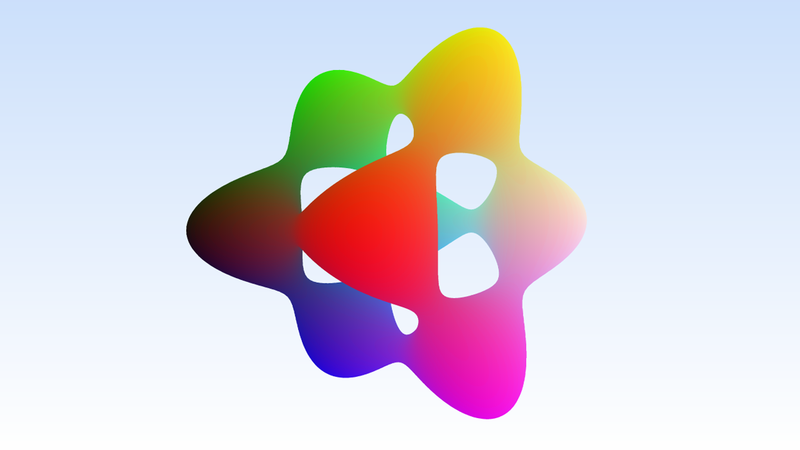 The colour of the voxel model. The position of the clipping plane. The rotation of the clipping plane. The number of slices used to render the voxel model.